When I come across a brand I not only admire, but respect - I can't help but share the love! Check out my favorites for awesome deals that YOU can take advantage of! PS. Because I take brand loyalty so seriously, I never promote anything I don't sincerely adore. Trust me, I gotchu. Even though I had just purchased a new suitcase, I quickly returned it once I discovered Away. It wasn't just their branding that I admired, but their energy, their products, and their lifetime warranty. Yes, you read right, a lifetime warranty! I quickly purchased the white "Bigger Carry-On" - and let me tell you - it's been one of the best investments I've ever made. It's not only beautiful, lightweight, and durable, but also extremely helpful during all my recent travels. I've literally had people come up to me in the airport asking if they can use the integrated charger - it makes me feel like such a pro-traveler! Backed by their amazing customer service, Away is not only a brand to watch, but one to invest in yourself! CLICK HERE FOR $20 OFF YOUR FIRST SUITCASE! I found Sunski on a random Instagram search - and dang, am I glad I did. Their brand consistency is on point, and their positive vibes are not only shown through their photos, but more importantly, through their customer service. 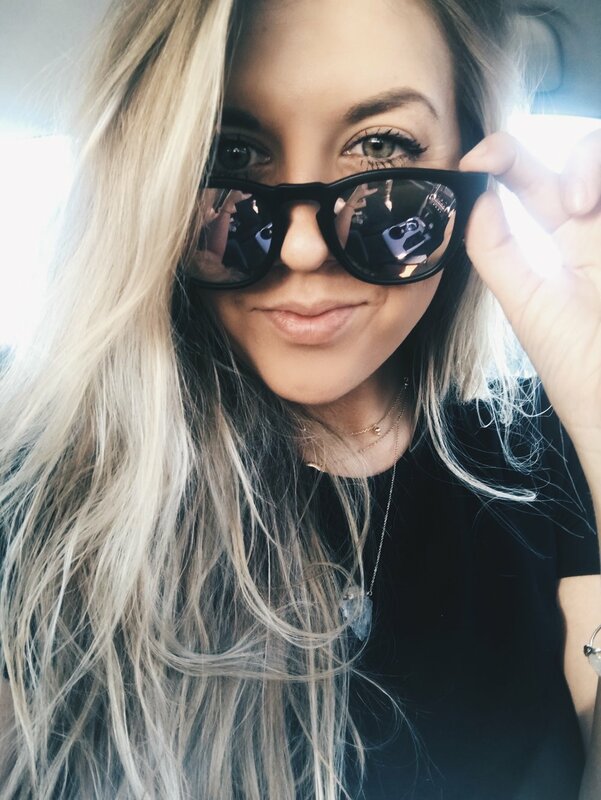 Now sunglasses are something I usually need to try on before I purchase - however, I decided to reach out and ask the Sunski team for suggestions based off what I usually wear. I'll be honest, I have a big head (in size, not ego), so I'm picky about the way sunglasses fit my face, which I explained to them. I was so impressed with the amount of attention and love they gave to me during our conversation. They were genuinely interested in what I was looking for and gave me tips and suggestions on what ones they think would be the best fit for me. As they say, their sunglasses are "designed like they give a damn", and I couldn't have been more pleased with how they looked and the quality after getting my first pair! In addition to the different options all being stylish AF, they also have a lifetime warranty, give back 1% of sales to environmental non-profits, and are beginning an even brighter future with recycled plastic frames - making the planet better with every purchase, how rad is that? !